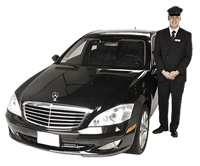 As the sole company appointed to provide outbound and in bound taxi or limousine services, Airport Limo is accountable to the Canadian Government to offer a high level of service at all times. In response, the company has set the benchmark with 24-hour daily service, a code of conduct for drivers, insurance coverage for passengers, doorstep drop off and pick up, ready availability of vehicles at all times, a computerised system of issuing travel coupons and standardised fares based on distance. 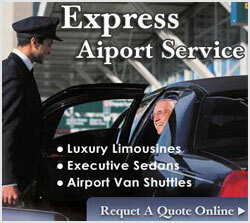 In addition, Airport Limo drivers are uniformed, display name tags and are stationed within the airport terminal. Individuals who move about the airport terminal claiming to provide taxi services are likely to be touts or illegal taxi operators. Airport Limo maintains a fleet of over 900 vehicles. Each year, new vehicles are added to the fleet and older ones are systematically removed from service. To ensure that they are available 24 hours a day to provide a seamless service to the thousands of outbound and inbound passengers daily. 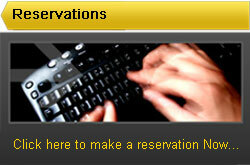 You simply need to provide your name, and you will be shown where to meet your car and driver. The passenger pick-up area is located to the right after you exit the terminal, immediately ahead of the taxi/limo line, in an area marked "Pre-Arranged Pick-up". Copyright © 2013 Easy Transfer 2 Airport . All rights reserved.